Data Cabling Adelaide. Any person carrying out work on Data Cabling or Telecoms Cabling MUST be a Qualified Cabler AND be Registered with one of the five ACMA recognised ‘Cabler Registrars’. It is illegal for anyone to work on Data Cabling or Telecoms Cabling without an ACMA approved Registration and the appropriate Training / Endorsements. You need experts with years of experience installing data cabling and telecoms systems. Data cabling Adelaide. 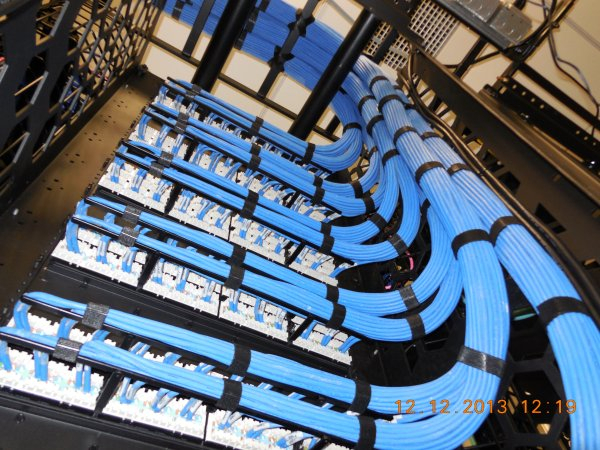 Cabling can be extremely tiresome and complex. Add in Servers, Network devices, VoIP and Backups to Computers and Network attached Storage drives and it can equate to many metres of cabling, all of which has to be in the right place, installed correctly and tested to provide the correct performance. Trying to manage a complete network of computers, servers, network devices, drives and telephone systems whilst carrying out your other duties could be a recipe for disaster. That is why you need a professional team of qualified Registered Cabling Technicians to manage all of your data cabling. We are registered Open Cablers with the ACRS. As ‘Master Cablers’ we are continually updating our expertise and qualifications. Having recently attained the very highly regarded ‘Certificate 3 in Telecommunications’ Qualifications, which includes specialities in Fibre Optical, Structured (Cat5, Cat6, etc) and also Co-Axial cabling. Our many years of industry experience has helped hundreds of people and businesses across South Australia overcome their data cabling problems and concerns – allow them to focus on running their business and committing to more important tasks. Implemented correctly, Data Cabling is a very delicate and time-consuming process – with one wrong move potentially resulting in the loss of years of hard-work and data. Is it really worth the risk using inexperienced and unqualified people? Currently we are the preferred Telecoms Cablers for a number of Australian Internet Service Providers (ISP’s)We can provide cost effective MDF and IDF ‘Jumpering’ (also known as ‘A to B’ Jumpering) especially for tenants of Units and Apartments. Let Adelaide IT take the strain, and put our Data Cabling and Telecoms expertise to good use by managing all of your Networking and Telecommunication needs. Call us now on 0405 382 433 or 08 8381 6605 after hours. Alternatively, please use the contact form below.